Whether the student is provided services by paraprofessionals and, if so, their qualifications. 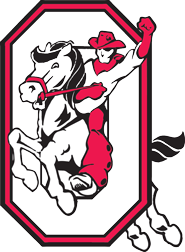 Federal Application: In accordance with the law, federal program applications and waiver requests are available for public review at the Orrville Board of Education office. Please submit your request in writing. Orrville Schools will participate in the state assessments the during the announced testing window provided by the Ohio Department of Education. Specific dates will be determined by the school. Dates will be posted on the school's website/parental newsletter. Parents may request information regarding any state or district policy regarding student participation in any assessments mandated by Section 111(b)(2) and by the state or district, including a policy, procedure, or parental right to opt the child out of the assessment where applicable. The district has adopted the following parental involvement plan Policy IGBJ.